Have you ever heard of ‘bihaku‘? It means ‘beautifully white’. Today many bihaku products that aim to provide a fair complexion are sold all over Japan. Most Japanese women are interested in those products, because clear white skin is a standard of beauty in this country. I think the concept of ‘kawaii‘ (‘cuteness’ in Japanese culture) may include bihaku. Many kawaii icons such as Hello Kitty and Kyary Pamyu Pamyu are loved partly because they are white and cute. Also, most girls from J-pop groups that have a great effect on teenagers and those in their twenties usually have a fair complexion. A Japanese proverb says, ‘Fair skin covers many blemishes.’ From long ago, Japanese people have thought that a woman with fair skin would look beautiful in spite of her skin blemishes. Though dark skin was in fashion within a specific group of teenagers from 1990s to 2000s, today the majority of Japanese women try to avoid tanning, and sunscreens are must-have again. Bihaku is a deep‐rooted tradition. It is also the fact that cosmetic advertisements have a great influence on Japanese women. Bihaku products are highly marketable. Now we may need to be aware of this and start our own beauty in the international society. In my case, however, I have many bihaku products because I want to prevent freckles. Look at the picture. 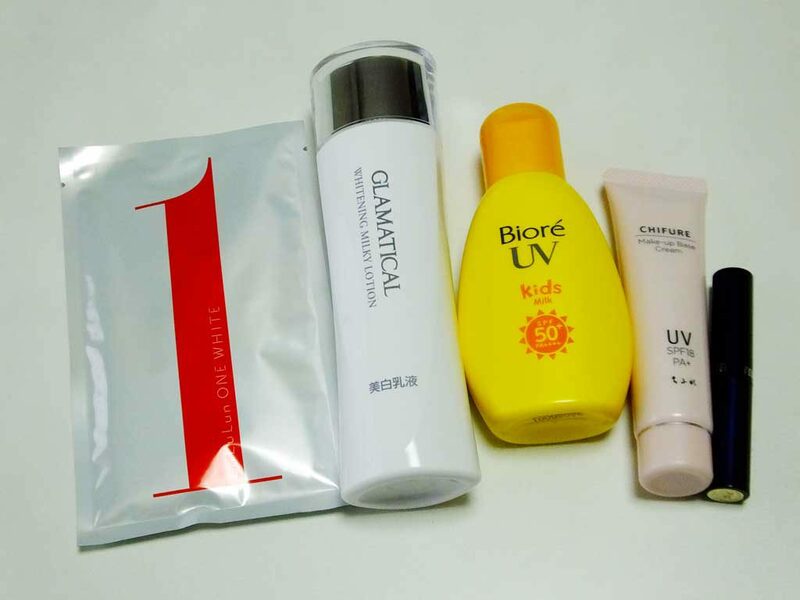 Starting from the left, you see a face pack, skin lotion, sunscreen, makeup base and concealer. I have many things for fairness. I am very ‘Japanese’!